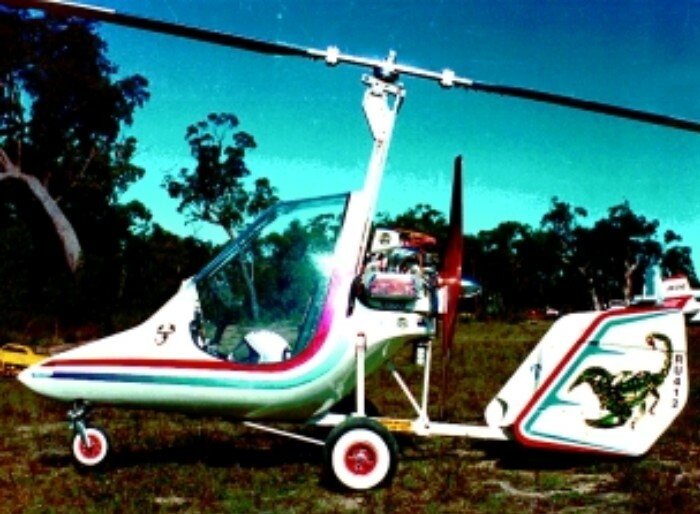 A single seat open frame or partially enclosed autogyro. Airframe is 2x2 aluminium tube with shock absorbing landing gear, dual rudder. Rotor blades: 23’ Skyhook aluminium riveted. Cost: Mk I $7,600 (U.S.) Fully assembled, and Mk III $15,200 (U.S.) in 2009. Prop: IvoProp 54” x 32” 2 blade wood.